Daybreak Games has announced the next season of H1Z1: Battle Royale, and it’s bringing some major changes. In addition to a new training mode and the introduction of ranked leaderboards, the highlight is no doubt an all new Deathmatch mode. 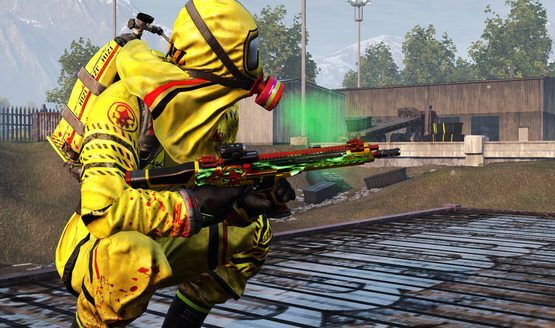 The 50-person free-for-all looks to be H1Z1‘s most intense mode yet. The season goes live on February 21, 2019. The new mode will throw 50 players in a tight battlefield, where each player aims to be the first to reach 25 kills. With a constant stream of weapons and instant respawn, the the thrills are sure to never end. The new additions don’t end there, either. Season 3 is introducing a brand new ranking system. There are six tiers players can be assigned. Leaderboards track kills, matches played, and more. Ranking will be reset at the end of each season, giving all players a fresh slate as they aim for the top. For new H1Z1 players (or those just wanting to polish their skills), a new “Training Grounds” mode will give players the opportunity to test out all of its mechanics. You’ll be able to learn the ins and outs of each weapon, and maybe even test out a new playstyle or two. In a competitive game like H1Z1, a training mode is surely needed. Like almost every other free-to-play game, Season 3 of H1Z1 also comes with its own Battle Pass. Billed as “the largest H1Z1 Battle Pass yet,” it features over 200 cosmetic items, including nine outfits. There will be over 100 reward tiers, and an exclusive reward track for PlayStation Plus subscribers. H1Z1 is available now on the PlayStation 4. After releasing on the platform in August 2018, it quickly became one of 2018’s most-downloaded games.